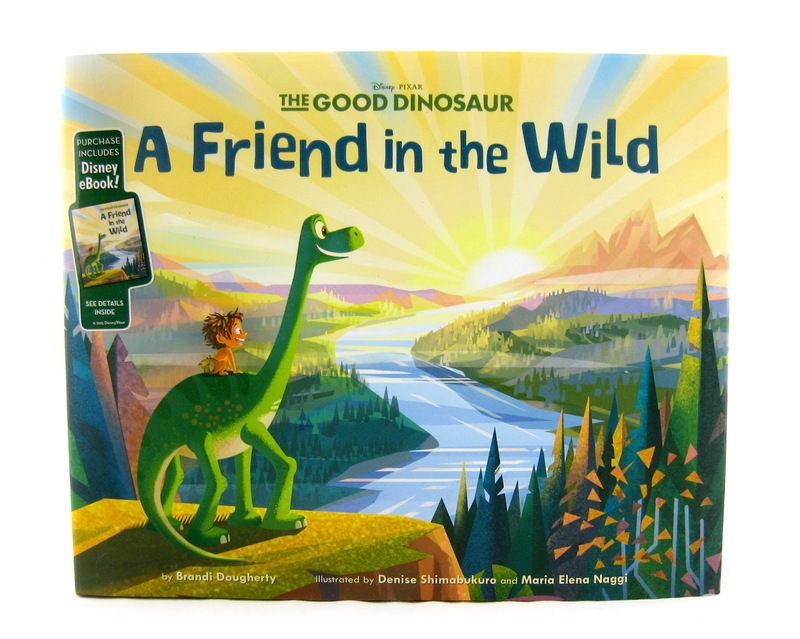 Here we have another fantastic The Good Dinosaur children's book..."A Friend in the Wild", written by Brandi Dougherty and illustrated by Denise Shimabukuro & Maria Elena Naggi! 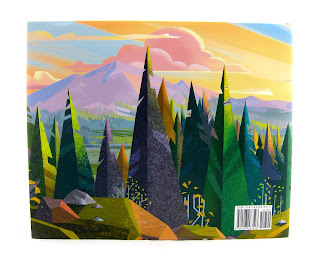 This is an adorable, simply written book filled with stunning illustrations. I don't know who's in charge of seeking out artists for Disney publishing, but they especially found some great ones in regards to The Good Dinosaur. Almost every Good Dino book that's been released features illustrations that perfectly match a particular style that I'm drawn to; but they've also all been distinctly different. The illustrations here are very unique as they're mostly made up of very straight lines and basic geometric shapes. 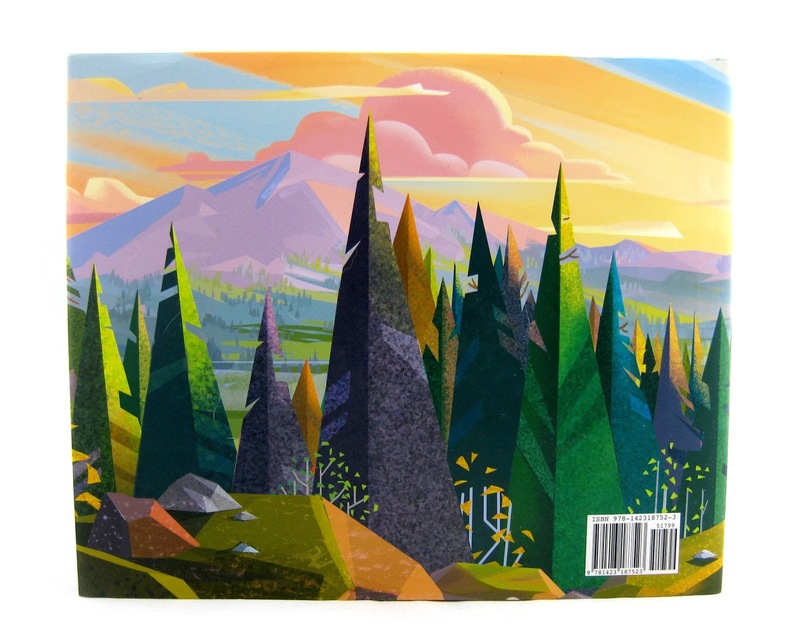 Really beautiful stuff... And as you can already tell with the front and back covers, the overall color pallet is incredibly soft, yet so striking and vibrant. The story is written in the style of a survivor guide and is 32 pages in length. It doesn't follow the film's story per se, but there are many familiar characters and elements that you'll recognize (like the gophers, T-Rex, fireflies, etc). Also included with this nice hard cover edition is a digital Disney eBook version as well! Something to keep in mind- that should definitely be useful someday. Have a little Good Dino fan in your life? Then this might be exactly what you're looking for! Highly recommended.